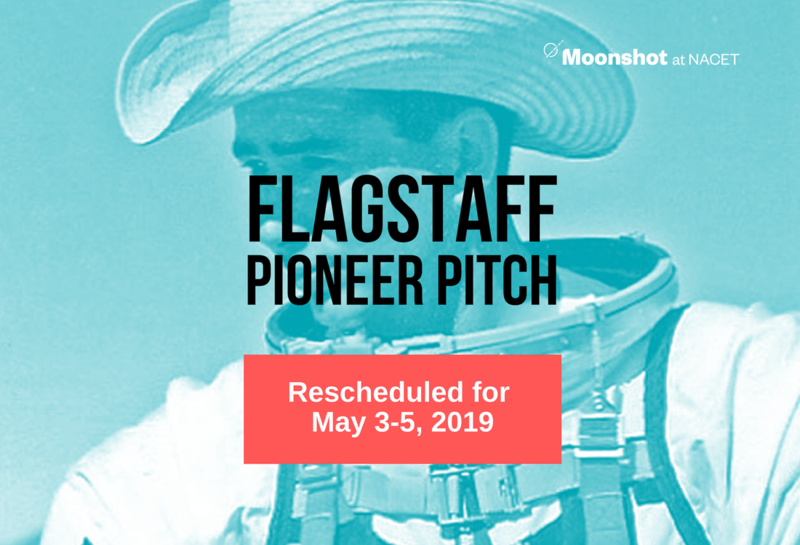 Due to the fact the Emergency Operation Center is anticipating needing to take over the Accelerator building on our campus, we are rescheduling our Flagstaff Pioneer Pitch Event to the weekend of May 3rd - 5th. So sorry for the inconvenience. Stay safe and warm, and enjoy the snow! 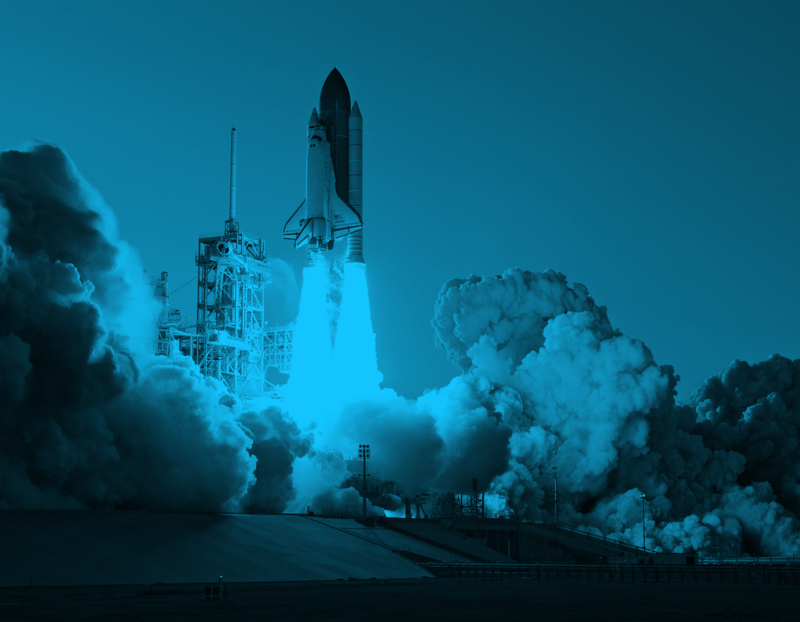 Moonshot at NACET is blasting off in 2019! We're thrilled to be able to share inside scoop about what's happening in the world of entrepreneurship in the West. Moonshot thinking is the norm around here and we're excited to kick things off with a quick overview of how we're helping risk takers and change makers in 2019 in addition to outlining what we're going to feature on our blog in the coming year. First off, let's look at what we're launching for experienced and novice entrepreneurs this year. Flagstaff’s 2nd Annual Moonshot Pioneer Pitch is a two and a half day “Shark Tank” inspired entrepreneur business pitch contest with workshops open to the public. During this unique event, entrepreneurs will have the opportunity to receive instruction and advice from various industry-experts on how to start or accelerate your business/ideas while competing to win their share of cash prizes and scholarships and get exposure for your business or product. Check out videos of previous pitch contests here: ​Flagstaff 2019. Moonshot Innovators Camp is a 3-day high school day camp designed to teach the fundamentals of entrepreneurship and business. This fun, teen-centric program will deliver educational workshops and prizes to inspire Flagstaff youth to become entrepreneurs. Participants will form teams/companies, develop a business plan and marketing strategy for their products, and pitch their products to Flagstaff business and government leaders in a faux-trade show environment on the last day of camp. Business leaders/experts will vote on best company/products and the top three winning teams will be awarded cash prizes and more! Click here for more information and sign-up. Moonshot Pioneer Pitch is a two and a half day “Shark Tank” inspired entrepreneur business pitch contest with workshops open to the public. This fun community-centric program brings out all types of seasoned, as well as aspiring founders, with their own moonshot business ideas. Confirmed locations include: Page, Verde Valley (April 11-April 13), Show Low, Arizona. Click here to learn more. This full day celebration of entrepreneurialism begins with workshops geared to elicit the local entrepreneur spirit in Flagstaff then culminates in the 1st annual dinner awards ceremony, celebrating the “best of” and “rising star” founders and companies that are going or have gone through the Moonshot at NACET program. Additional LAUNCH AND LEARN Workshops (open to the public/free of charge) are listed here. Over the next 365 days, we'll be sharing Moonshot at NACET success stories, covering AZ Pioneer Pitch events, and publishing how-to articles and interviews aimed at helping entrepreneurs start and/or scale their businesses. We're looking forward to learning and growing with you!